I was a long time animal lover but had never had one of my own. In particular, I longed for a dog. In 2000, I attended the Rolex horse competition as a spectator. 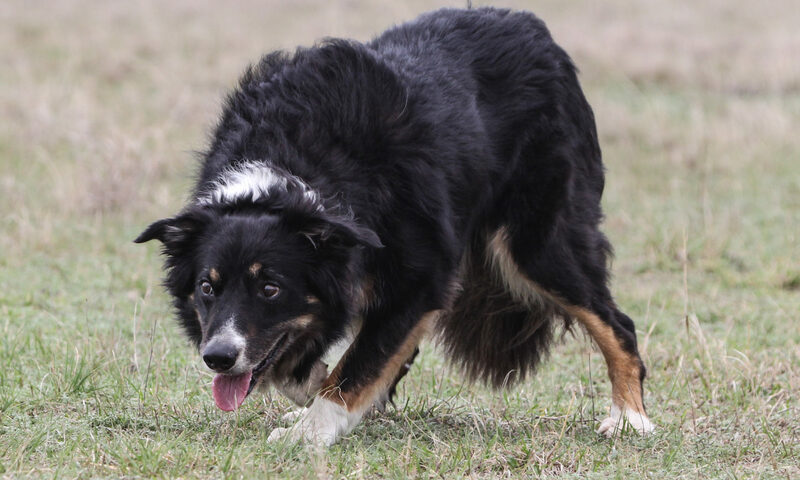 I strayed from the horses to watch a Border collie demonstration. The handler was Alan Miller and he assured me that while a Border collie needed a job, it did not have to work sheep. A month later I picked up my 7 week old puppy, Bear, and planned to learn agility. 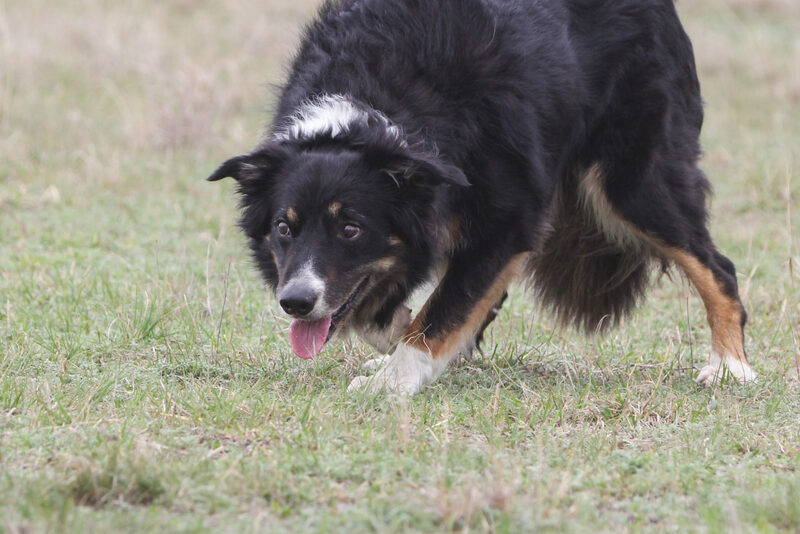 I never did learn agility but about a year later, serendipitous encounters with Connie Brannen and Vergil Holland lead to working sheep and my first open run in 2004. Remarkably, although I did not know who Alasdair was until 2004, Bear and Max were both his kind. Bear’s mother was Jess, a daughter of June. June was a Redpath’s Ben (McTeir’s Ben X W McKenzie’s Chris) that Alasdair actually bought as an 8 week old pup, trained to trial level and then sold to Tommy Wilson. Both Bear and Alasdair’s Auld Mirk are Redpath’s kind. 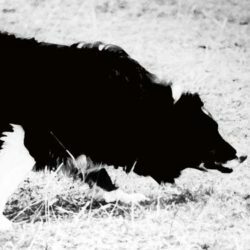 Bear was a strong, courageous, determined and excitable dog. While his best qualities, heart and presence, stymied us in competition they opened the door for everything else. The relationship and bond we had exceeded my greatest expectations. He was the most effective work dog I have ever known and no task or situation was too difficult. Bear only won a few open trials but placing 10th with him in the final of the US National was one of my proudest moments. Bear was the catalyst for my incredible journey and I would have never made it this far without him. Alasdair often told me how fortunate I was to have Bear and Max. He also correctly predicted they would be the standard for which I would measure all other dogs. Bear was a best friend, tremendous partner, guardian and more. We lost Bear to cancer the end of July 2012 but he is in our hearts every day.